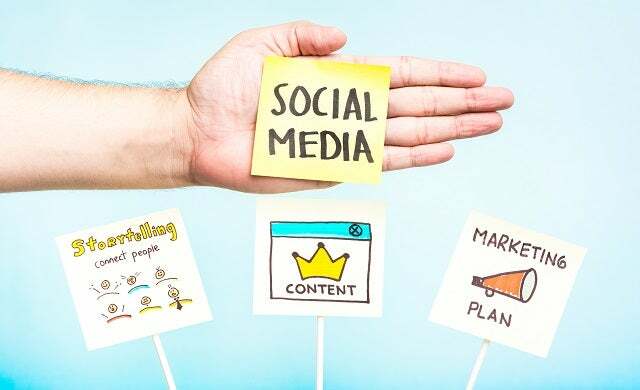 Creating and maintaining an effective social media strategy is a fundamental way to attract potential consumers and draw them to your website. 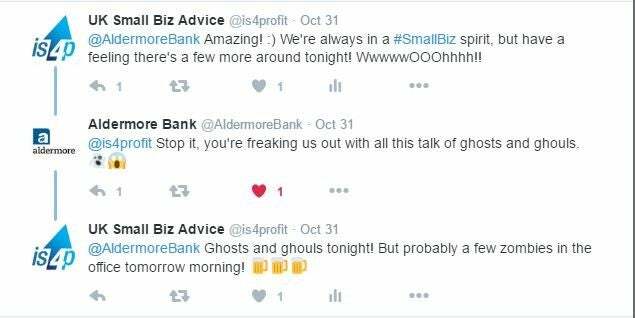 However, with virtually all major brands now active on at least one social media platform, you can be sure that social media noise about your start-up will be drowned out if you don’t have a suitable strategy in place. By asking yourself the following questions, you can formulate a social media strategy that will drive traffic to your website, strengthen relationships with your customers, and improve your reputation. With today’s millennial consumers (those aged 18-34) craving personalisation and constant interaction, brands can no longer afford to hide behind marketing campaigns – you need to connect with your audience. To do this, you first need to look at what you want to achieve using social media. Your social media strategy needs to be actionable and measurable, starting with target outcomes. Also remember that your social media channels shouldn’t be working in silo, but working in parallel with the rest of your marketing activities. Do you want to increase brand awareness and loyalty? Maintaining a strong online presence and having consistent branding on all your social media channels will help raise awareness of start-up to consumers who otherwise wouldn’t recognise your business. While this doesn’t always mean immediate sales, consistent interaction with the general public can ensure your brand enters their sub-conscious which can result in potential sales further down the line. Similarly, studies have shown consumers are more loyal to a brand if they maintain a social media presence. Finally, don’t be afraid to at least attempt some interaction with giant brands, celebrities or entrepreneurs – even a small response could do wonders for your traction and make you seem like a real authority. 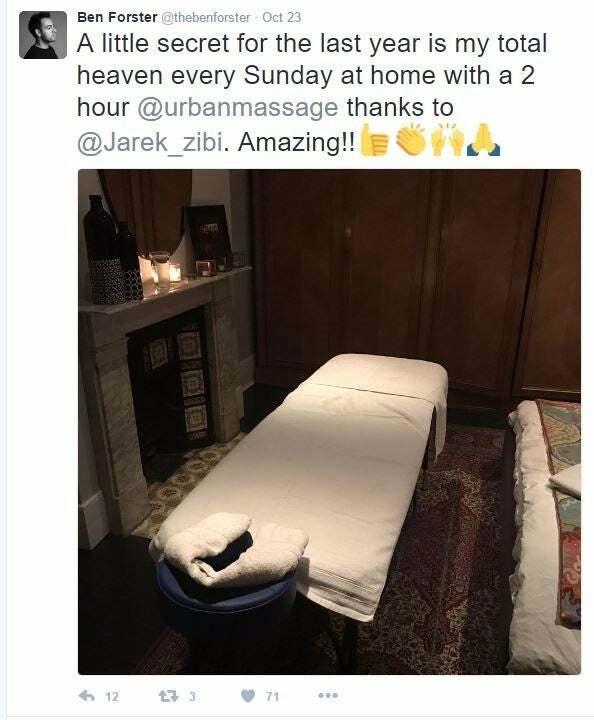 Example: Actor Ben Forster’s tweet about Urban Massage helped share a positive impression of the brand. Do you want to improve your SEO? For start-up businesses, an effective search engine optimisation (SEO) strategy is essential to capture relevant traffic from search engines and bring this traffic to your start-up’s website. However, the specifications for SEO are constantly changing and it’s no longer enough to just simply regularly update your blog, optimise title tags and meta descriptions, and distribute links that direct back to your site. You need to have an active social account too if you want Google and other search engines to recognise you as legitimate and trustworthy brand. So, if you want to rank for a given set of keywords, having a strong social media presence is a must-have. Do you want to benefit from cost effective marketing? Social media marketing is incredibly cheap and cost effective – with sites such as Facebook and Twitter allowing you target very specific demographics in a variety of customisable ways. Either way, social media can do wonders to attract potential customers to your website. Platforms such as Tweetdeck and Hootsuite also make it easier to ensure your business is active on social media 24/7; enabling you to schedule posts in advance. Are you looking to improve your communication and customer service? Social media has helped to make the relationship between consumers and businesses more transparent. Using social media, you can connect with your customers on a personal level, can respond to queries and immediately and you can highlight the face behind your brand. After all, people want to speak with people – not a logo or brand name. Make sure to monitor any threads, tweets or posts you’re mentioned or tagged in and try and respond to any criticism immediately. Responding to any complaints, positive feedback and general enquiries will do wonders for your brand and show that you genuinely care about your consumers; beyond selling to them. 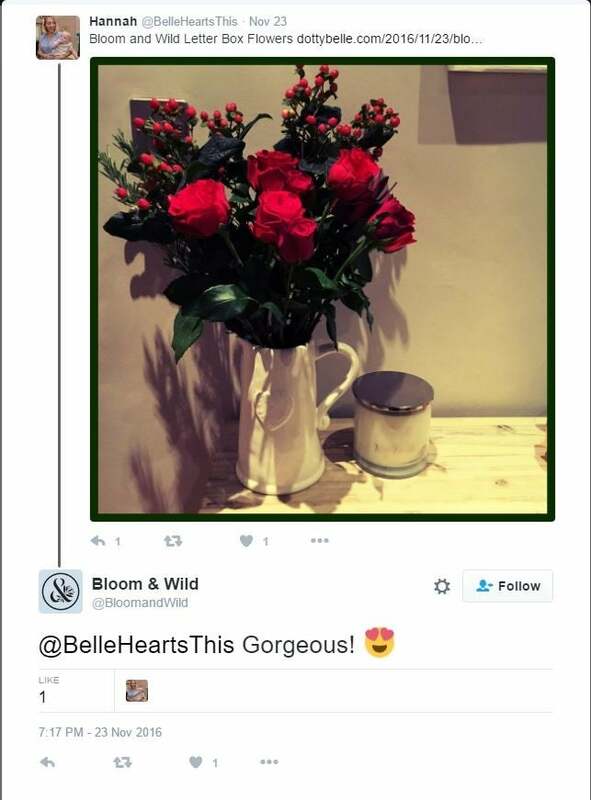 Example: Bloom & Wild came across a happy customer and promptly tweeted their appreciation. Are you looking to attract paying customers? For any serious online business, the main goal of your social media efforts should be to draw more people to your website – converting likes and retweets into website visits. Social media works brilliantly for achieving these high conversion rates you will be striving for. With review culture in full swing and most consumers trusting the recommendations of their friends, you’ll need to make sure you’re engaged with your audience – regularly share links to your site, competitions, images, videos, blogs and more to maximize your chances of attracting users to your site. What are you hoping to convey about your business on social media? That you’re a human brand? While online bots and automated responses are on the rise, one thing consumers won’t appreciate is generic replies on social. As a result, it’s imperative that your business appears human across social media. Make sure to show compassion, empathy and have a sense of humour; Innocent.com’s social media persona is a good reference point. Engage with customers on a first name basis, share details about your team and office, celebrate important milestones etc. Brands that take a human approach are better at gaining the trust of consumers. 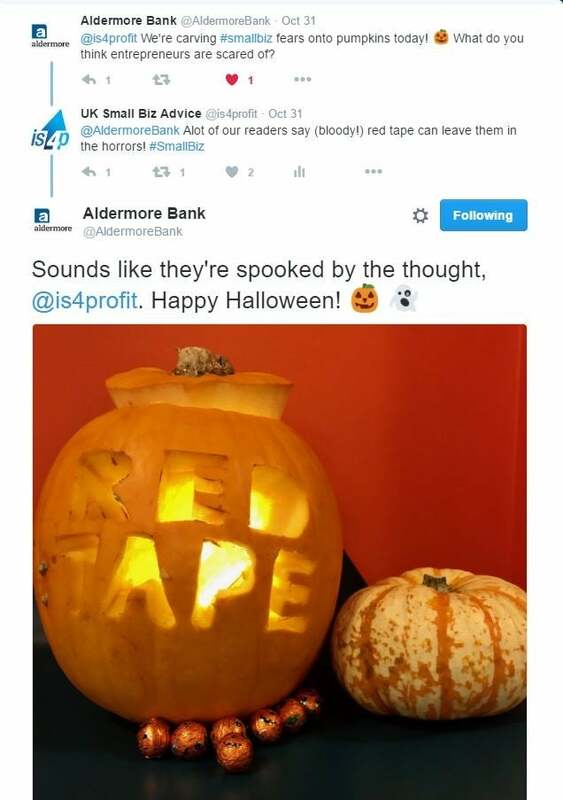 Example: is4profit.com makes a light-hearted remark about celebrating Halloween, engaging with readers in the process. That you listen to your customers? You’ll want to regularly scan and search for your business across the main social media channels – also known as social media listening – to see what people are saying about you. Acknowledge praise, and make sure to attend to disgruntled customers. Showing consumers that you actively care, and are keen to promptly amend any mistakes, can ensure repeat custom and increased brand loyalty. That you’re worth talking about? Engaging regularly with your customers will send out a message that your start-up is not only open for business, but for discussion. Increased discussion means increased visibility and brand awareness; therefore, leading to more visits to your site. That you’re more than just a business? In line with your businesses brand and its values, you need to think about how you’re going to use social media sure to convey to consumers that you care about more than just the bottom line. Use social media to promote any charities or causes you’re closely aligned to. Who is your target audience and what social media channels do they use? Certain social media platforms are simply more synonymous with certain demographics than others. Once you work out your own target market, and which social media platforms their more likely to use, you can better channel your efforts into which mediums work best for your business, and customers. While most businesses will have some form of a presence across most social media platforms, interaction and engagement can fluctuate greatly between each site – pending which one is best suited to a company’s product, brand and target market. Struggling to think what social media channels your target market uses? It can help to think about divisions – what separates people from one another. Think about their age, gender, social class, interests and lifestyle. Similarly, think about what features each social media channel prides itself on – and which of these best relates to your product and branding. 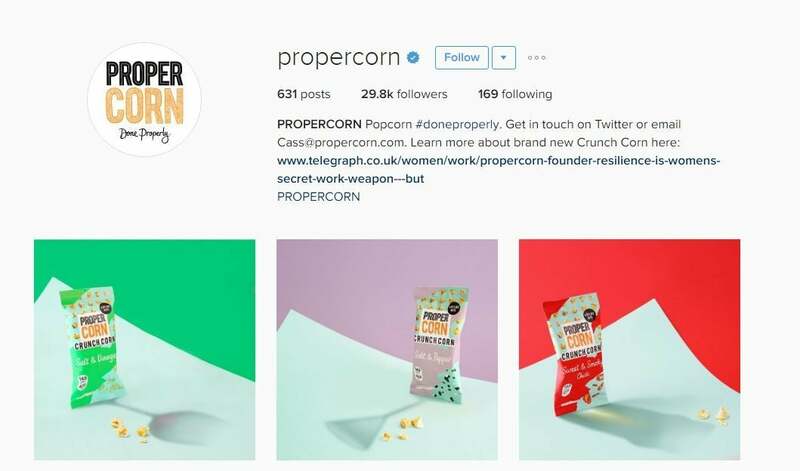 For example, if you’re a new food business then image-led platform Instagram, with its colourful filters and visual emphasis should help you gain more traction than LinkedIn – which is suited to more ‘white collar’ businesses and consumers. Facebook: With 1.49bn users, Facebook is the most popular social media platform in the world. With more users than Whatsapp, Twitter and Instagram combined, a Facebook page is essential for any start-up business. Unsurprisingly, Facebook’s appeal is very broad and covers almost all demographics including age, ethnicity, education and disposable income. With 26% of its users are aged between 25 and 34, and 9% aged between 55 and 64, Facebook’s main audience is slightly older than Instagram and Snapchat – there will be over 2.4 million Brits aged 65 and over on Facebook by 2017. Unsure when to post on Facebook? Studies indicate that half of millennials check their Facebook timeline immediately after they wake up, with activity also spiking between 1pm and 3pm and on Thursdays and Fridays. Instagram: Now owned by Facebook, Instagram has over 14 million users in the UK, of which 38.4% are in the 16-24 age range, with those aged under 35accounting for nearly 90% of users – so if you’re targeting millennials Instagram is a must. 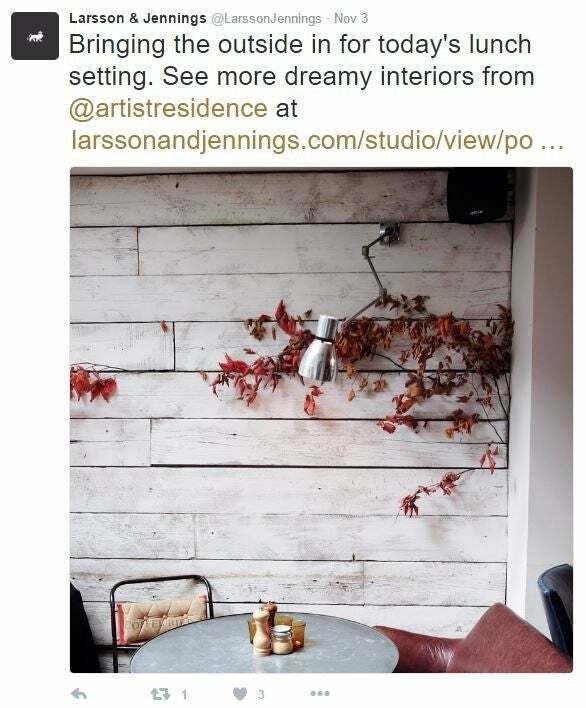 Almost entirely image based, businesses that rely on the aesthetic quality of their product or service should make sure to avail of this platform. Twitter: With 80% if its users operating via mobile, Twitter represents a good opportunity for your business to interact with consumers ‘on-the-go’. If you’re targeting a younger demographic, a Twitter account will be worthwhile endeavor as 37% of 11 to 16 year-olds in the UK use the site at least once a week. The average number of followers per Twitter account is just 208, so don’t worry if your start-up makes a ripple rather than a splash initially. You can also use Twitter to jump on the hashtag bandwagon. Adding a hashtag to your tweet will double your chance of generating engagement. LinkedIn: Focused on the commercial sector, if you’re a B2B online business then LinkedIn is the platform for you. 45% of LinkedIn users are in higher management positions. Only 13% of LinkedIn users are active and post regularly but the site is made for networking – so if you’re looking to make relevant connections then LinkedIn will prove an invaluable tool. Snapchat: Launched in 2011, Snapchat has already overtaken Instagram to become the US’s second favourite social media channel; behind Facebook. Ideal for businesses with a young target audience 70% of Snapchat-users are aged under 34 and the platform is increasingly becoming the social media channel of choice for millennials. What is your brand voice? What do you want the tone of your social media updates to be? Branding doesn’t just tell consumers about your products, it talks to people about your business, what it stands for and what your goal or purpose is. When deciding on an effective brand voice, it can help to think about what this purpose actually is. The message you present on social media is incredibly important to set your business apart from competitors and to engage with your target market. Think about your business’ ethos. What social causes do you care about or seek to improve? What value are you offering beyond the physical product or service? Example: Look at award-winning food brand Pip & Nut. 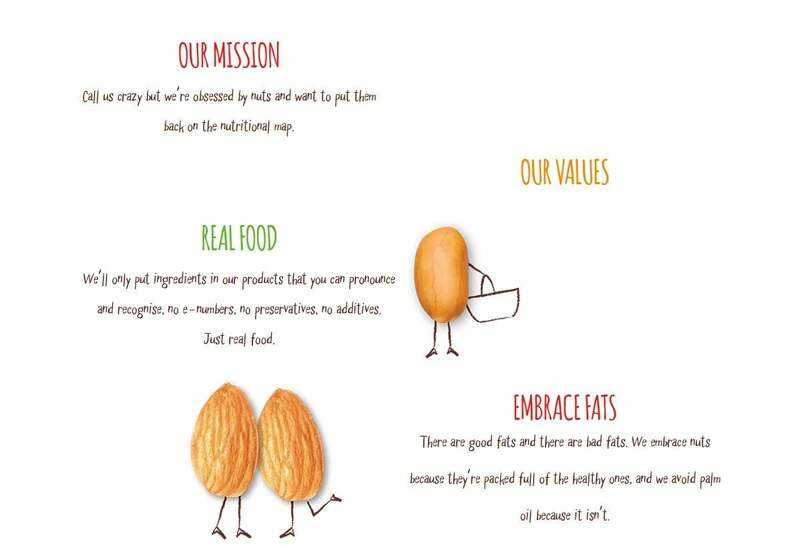 The nut butter start-up is not only interested in selling peanut butter to consumers, but also wants to ensure more people adopt a healthier diet and realise the nutritional benefits of peanuts. This focus appeals to consumers as it provides a form of value beyond the actual point of sale. That is, your general diet and health may improve as an indirect result of buying Pip & Nut. When conveying your brand, your ‘voice’ and tone should remain entirely consistent and cohesive across your social media channels. However, consumers won’t appreciate marketing jargon or a sales pitch – they want authentic communication and this is where so many businesses go wrong. Quite simply, your voice is your brand’s personality and should be described in an adjective. Think, is your brand ambitious? Lively? Cynical? Professional? 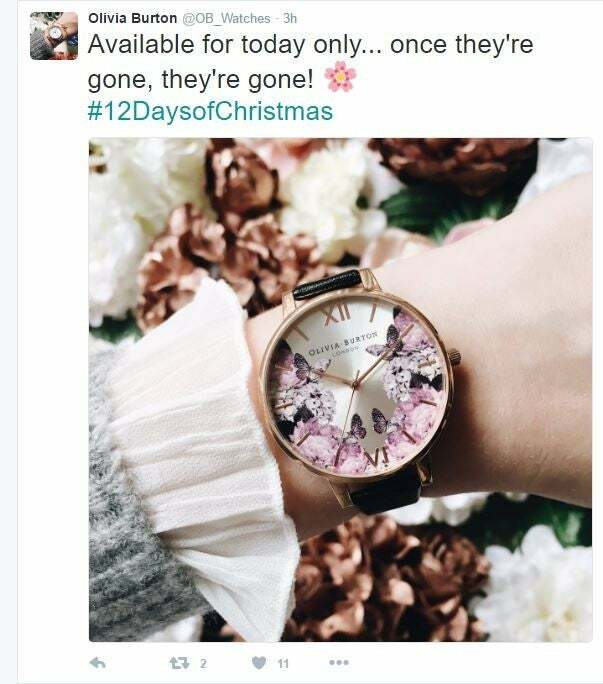 Example: Watchmaker Olivia Burton describes itself as “bursting full of personality, femininity and timeless charm” and this is consistently conveyed by its social media presence. Your tone is almost like a subset of your voice, and adds specific flavour to your voice based on factors like audience, situation, and channel. Your brand must remain consistent, while your tone can vary slightly. When thinking about your voice and tone, image if your business was a person. What type of personality would they have, and how would they act in certain situations? For example, if you specialise in a high end product, then your online presence should reflect an air of superiority and remain largely formal. If you’re a tech start-up building a new app, then you can afford to be more informal and chatty. 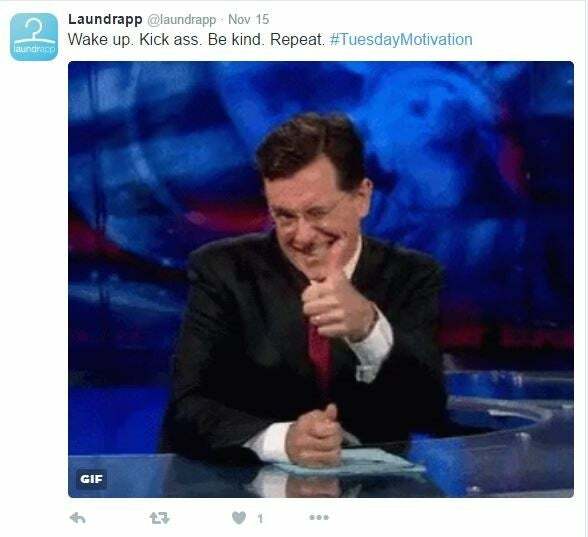 Example: Notice the difference between Laundrapp’s brand voice and that of Larsson & Jennings. Consistency is the key here; almost every element of your marketing and branding across your social media accounts should work harmoniously together. What type of content will you be posting on social media? Once you’ve decided on your brand’s voice and tone, you should turn your attention towards what type of content you’ll be sharing on social media. Whether your focus is blog content, videos, images – we recommend a mixture – indifference is not an option and you’ll need to make sure your content is engaging enough to draw attention towards your website. Are there any benefits to using this particular image? Does it help reinforce a point? Does it have emotional appeal? What message does it communicate? Producing videos for your social media channels is a great way to engage your audience, and is a perfect opportunity to add a human element to your business. When deciding on what to film, it helps to think of what value you can offer your audience. Rather than simply showing off your product in an advertisement, filming something a guide on how to use your product or sharing industry expertise can keep viewers engaged and adds significant value to the footage. Testimonials from actual customers can also prove you listen to your followers and are actively engaged with them. Twitter, Facebook, Instagram and Snapchat all allow you to post videos – and you should also consider running live videos via Facebook Live. Blogs are an effective tool to engage consumers, build your brand and draw people back to your website. With the web now saturated with blogs you’ll need to take a few measures to ensure you deliver quality content that doesn’t just read as an advertorial for your brand Your blogs should either entertain, inform, clarify, educate or inspire. A blog should always be written with the customer in mind so research your customer base on social media to get an understanding of the content they would find appealing. The average reader’s attention span is just 96 seconds – so ensure your blogs are concise and snappy. When planned correctly and executed efficiently, social media can bring your business closer to your consumers – and your consumers closer to your product. When starting-up, you should waste no time in developing and expanding your online presence to ensure you fulfil your sales potential.